For the second consecutive year Ifri is ranked in 2018 2nd most influential institute in the world behind Brookings Institution (USA) and before Carnegie Endowment (USA), according to the Global Go-To Think Tanks Index Report* of the University of Pennsylvania which reviewed more than 8,000 think tanks from 182 countries. Ifri is also ranked as the first think tank in Western Europe followed by Chatham House (United Kingdom). Ifri’s policy-oriented research strives to illuminate international events and put them in perspective. It is primarily useful for political and economic decision-makers as well as academics, opinion leaders, and civil society representatives. Ifri’s activities favor analysis and foresight concerning European and international affairs, and adopt a multidisciplinary approach that takes local, national and global perspectives into consideration. The institute’s work is primarily intended for political and economic decision-makers as well as academics, opinion leaders, and civil society representatives. cross-cutting issues: Security and Strategic Affairs, Energy, Space, Migration and Citizenship. Ifri’s research and debate is covered are covered in the institute’s various digital collections as well as in top publications such as the quarterly journal Politique étrangère and the annual report RAMSES. Ifri’s research is available in French, English, German and Russian. In 2018, Ifri experts published more than 70 digital policy papers. The website www.ifri.org is the first media through which Ifri’s debates, work and studies are disseminated. The website had more than 1M visits in 2018. Ifri is very prominent in the Media: It has presented itself in more than 100 articles and interviews, 300 television and radio appearances and about 4,000 quotes in French and foreign press. Ifri is very active on Facebook with more than 100,000 followers, on Twitter - with 25,000 followers and on LinkedIn - with more than 19,000 followers. More than 200 videos are available on Youtube. The Ifri’s digital publications are available on Pearltrees, Scribd and Calaméo. Ifri’s research is fueled by debates organized in an informal and non-partisan way, that facilitate the bringing-together of experts and decision-makers, private and public alike. 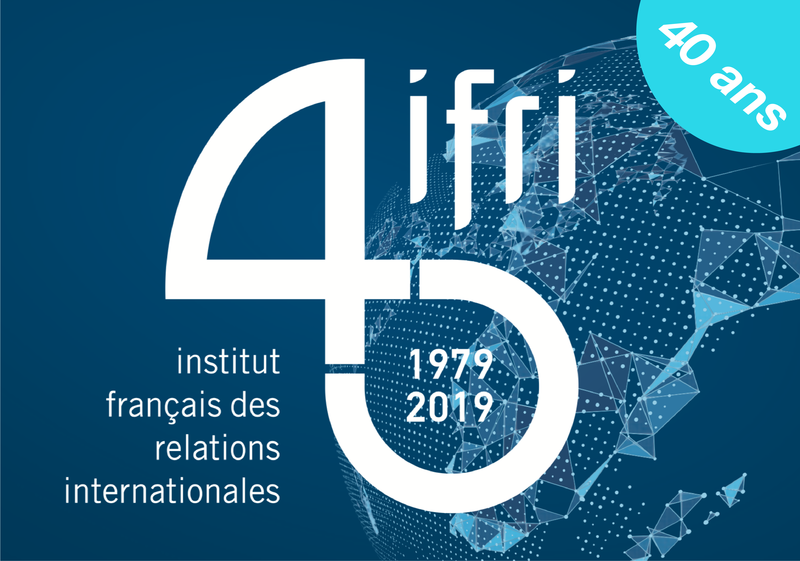 Each year, Ifri organizes more than 140 conferences and debates in Paris and abroad, about 10 international events, as well as numerous workshops and seminars. Ifri welcomes each year more than 120 high-level guests, among them heads of state and government official. * “Global "Go-To Think Tanks Report 2018”, James G. McGann, Ph.D., Director, The Think Tanks and Civil Societies Program, Foreign Policy Research Institute, University of Pennsylvania, USA.